An Academic Centre Of Excellence For Carrying Out Education, Research, Development, Training Advisory Services To Provide Key Inputs For Full Realization Of Renewable Energy Potential With Thrust On Small Hydropower And Conservation Of Natural Resources. An Academic Centre of Excellence for carrying out education, research, development, training advisory services to provide key inputs for full realization of renewable energy potential with thrust on Small Hydropower. 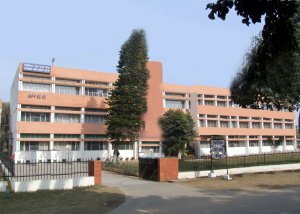 Alternate Hydro Energy Centre, an academic centre of Indian Institute of Technology, Roorkee was established in the year 1982 and has celebrated 2007 as silver jubilee year. AHEC has been providing professional supports in the field of Small Hydropower Development covering planning, Detailed Project Reports, Detailed Engineering Designs and Construction drawings, Technical Specifications of Turn Key execution/equipment Supply, Refurbishment, Renovation and Modernisation of SHP Stations, Techno-Economic Appraisal, R & D/Monitoring of Projects, Remote Sensing and GIS Based Applications. Technical support to over 25 different state and central government organizations for shp development has been provided. IPPs and financial institutions are utilizing its expertise support for their SHP development. AHEC also worked for several projects related the conservation and management of water bodies. and for mechanical/electricity generation purpose for the hilly region of the country. AHEC has been imparting training to the field engineers and technologists through short-term training courses to create trained human resource including of neighboring and developing countries in the field of renewable energy. AHEC offers a four semester Master of Technology (M.Tech.) course in 'Alternate Hydro Energy Systems'. AHEC also offers three elective subjects on Renewable Energy to bachelor of engineering students of the Institute. Ph.D. Programme is also offered by AHEC in the field of 'Alternate Hydro Energy'. A M.Tech. programme in 'Environmental Management of Rivers and Lakes' fully sponsored by Ministry of Environment and Forests, GOI is being offered since 2004 to the officers state / local / central government organizations. AHEC has signed a Memorandum of Understanding with Government of Uttaranchal, Bihar and Himachal Pradesh, Jammu & Kashmir to work as expert agency for the development of small hydropower in Uttaranchal. It has set up Instrumentation laboratory to provide independent performance testing of hydropower plants. A real time digital SHP simulator has been established for training and design with the support from MNRE, Govt of India and UNDP under CCFII. AHEC has been entrusted the task of conducting performance field testing and certification of small hydropower stations using latest performance testing equipments by the Ministry of New and Renewable Sources, Govt of India. Information booklet for Performance Testing of SHP Stations : A Guide for Developers, Manufacturers and Consultants, Dec 09.